The UCLA Academic Senate Committee on Planning and Budget (CPB) endorsed the hotel project on 3-22-12. A link to the Committee’s report is below. Pity it went that route, particularly the light of what went on at the Regents earlier this week. Essentially, what went wrong began with the UCLA administration’s misdiagnosis of the problem during the past summer. When the original grand plan to build the hotel/conference center had to be halted in spring 2011, the administration apparently concluded that the problem was not the scale of the project but the process by which it was unveiled. That is, it was concluded that the plan had leaked out too soon, sparking opposition. In this view, if only the plan could be withheld from public scrutiny the next time around, all would be well. Sadly, the Senate largely went along rather than insisting that the secret process was not going to be acceptable. As a result, there was officially no plan until Feb. 9. The Committee on Planning and Budget did not get the plan until March 5 or 6 when the Regents did, but unfortunately this delayed sequence occurred with Senate concurrence. Why was it allowed? In reality, the administration desperately needed Senate blessings and the Senate could have done the administration a favor by insisting, shortly after the press release came out last fall announcing the revised plan in “concept,” that it wanted a business plan pronto. The fact that there is little difference between the fall press-release plan and the final February 9 plan that went to the Regents in March indicates that the administration was committed to a slightly-scaled-down version of the original hotel but at a less offensive location. It was committed to the idea that if it dropped replacing the Faculty Center and kept control of the process, the Regents would rubber stamp the revision. 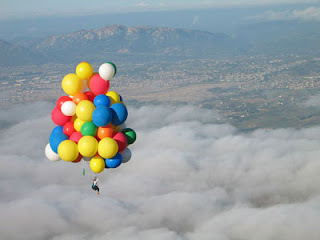 The now-revealed business plan is nothing that could not have been produced a short time after the fall press release. Had the Senate insisted on a plan pronto and on obtaining the external critiques (with whatever biases were entailed), it would have ended up asking the same questions of the administration that the Regents asked. And had those questions been asked well before the Regents meeting, at least there might have been better answers from UCLA at the Regents rather than the embarrassment and loss of credibility that occurred. There is no guarantee, of course, that the questioning might have led the administration to a fundamental rethink. The administration might have stuck with its diagnosis that the problem was just one of controlling the process to keep information from getting out. It’s still not too late for the administration to rethink and certainly it’s not too late for the Senate. 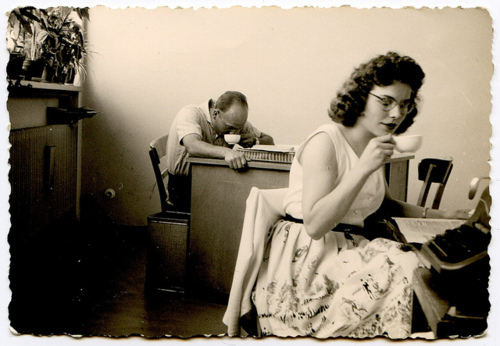 Maybe, just maybe, the true goal of facilitating academic conferences needs to be the focus rather than process. If you start with the true goal, as previous posts on this blog have noted, you don’t necessarily end with a grand monument. Ultimately, the Regents will approve the project as currently proposed if UCLA’s chancellor insists on it. Undoubtedly, “answers” to the Regents’ questions can be produced by the next Regents meeting. But pushing the project through that way leaves a troubling impression that will linger about how UCLA and its leadership set priorities for scarce resources. Too many people have painted themselves into a corner on this project. But when you paint yourself into a corner, the only thing holding you back from walking out is – after all - just paint. Can we hope something better can be produced in light of the morning after? 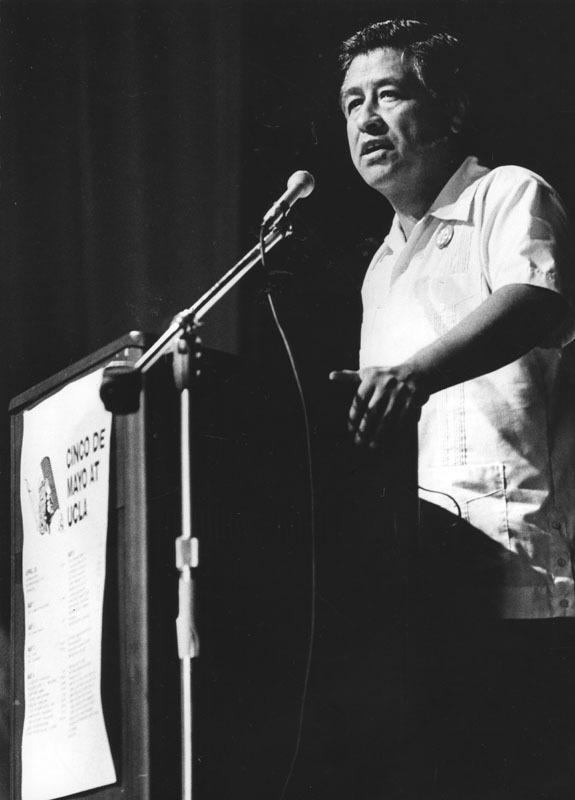 Photo shows Cesar Chavez speaking at UCLA at a Cinco de Mayo event in 1979. Three UCLA students were arrested Thursday during a confrontation with university police after protesters disrupted a UC regents meeting with a "spring break" demonstration during which some stripped down to bathing suits and tossed inflatable beach balls. The clash took place as 40 protesters, angry about high tuition, were leaving the UC San Francisco meeting hall after repeated warnings by police to clear the area. Authorities said that one student then pushed a police officer in a corridor and two others interfered with his arrest. Students denied pushing and said UC police overreacted, particularly by piling on to the arrested students and slamming them down on a concrete floor. There are in fact UCLA policies about reimbursing the parking authority for the costs of parking replacement when capital projects displace existing parking. Contrary assertions were made at the Regents meeting on the hotel/conference center. Yours truly is in transit at the moment but I am told that the hotel matter was deferred today to the next meeting of the Regents after the embarrassing questions that occurred at the Regents yesterday. If UCLA is willing to rethink this project as working towards the best way to facilitate conferences on campus, the donor could end up with his name on three structures (guest house, Faculty Center, conference center), the Faculty Center could be made financially viable, and the neighbors and hotel owners could be satisfied. An modified, scaled back plan has been presented on this blog in an earlier post. Undoubtedly, if the chancellor absolutely insists on the project "as is," the Regents will ultimately yield. But he would use up a lot of credibility going that route. 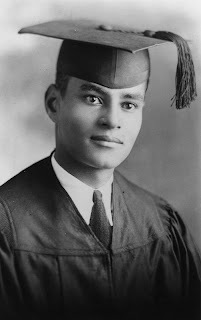 On the left is the graduation photo of Ralph Bunche, the famed African American diplomat after whom Bunche Hall is named. 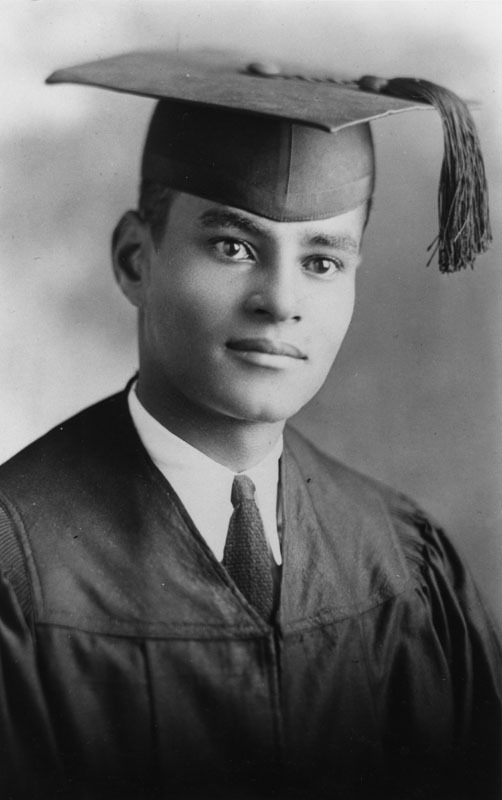 Bunche was an undergraduate at the old Vermont Avenue campus of UCLA. Someone with Bunche's mediation and diplomatic skills might be needed today by UCLA to find a solution to the embarrassing hotel problem it created yesterday at the Regents. See yesterday's two posts on that matter. Too bad he's not around to help. Yours truly will be on an airplane today and unable to report on the Regents session, including what they do with the hotel. The UCLA Faculty Assn. will request audio files of the entire Regents sessions and post them when they become available. My previous blog entry noted the objections to the UCLA hotel/conference center raised by non-UCLA participants at the public comments session this morning. As in the case of the morning session, I was unable to record the afternoon session of the Regents' Committee on Building and Grounds. However, I did hear most of it. There were presentations by Gene Block and Steve Olsen which led to a very skeptical set of questions by the Regents on the Committee. They questioned all of the items raised by the morning witnesses. Ultimately, the Committee was not willing to conclude its session with a recommendation to endorse the project. UCLA tried to downplay what approval at this meeting would mean, indicating that it would be back with environmental plans and designs at a later meeting, maybe in September. But at the end, the decision was to carry over the matter to tomorrow's Regents meeting of the full board without any recommendation. The questioning went into alternatives (such as buying the W Hotel in Westwood), the high costs per room, the non-reimbursement of the parking authority for the demolition of structure 6, the needed environmental review, potential use of the hotel in ways that could remove eligibility for tax-favored financing, the artificial blending of the hotel with two other facilities, etc. I have heard other Regents meetings in which projects were proposed. Usually, there is a presentation by the campus involved and only limited questioning of basic premises of the project. This session was very different. Basically, what has gone wrong here was the original Morabito grandiose plan which then became the model for a somewhat scaled down and relocated project. On this blog, we presented an alternative concept. See http://uclafacultyassociation.blogspot.com/2012/03/there-could-be-grand-bargain-on.html Focus on the conference center. Scale back the hotel aspect further. If there is going to be a blended project, blend with the Faculty Center which is a few minutes walking distance from the revised version of the facility (and not Lake Arrowhead!). Use some of the money for the larger project of facilitating the holding of on-campus conferences to upgrade the Faculty Center which has catering and meeting rooms already. Make a deal with the Board of the Faculty Center that would finally regularize its status on campus in a formal way. All of this is doable. Right now, UCLA is asking for approval of a project with which the Regents are clearly uncomfortable. Had information not been hidden until the week of the Regents meeting, many issues might have been addressed and a scaled back feasible plan might have been developed with input from all concerned parties, including the faculty. The outcome of the session is an embarrassment for UCLA that was entirely avoidable. Note: The UCLA Faculty Association will, as usual, request the audio files and post them when available. Update: The LA Times report on the meeting is at the link below. Scroll down in article to get to section on the hotel proposal. The initiative proposed by the governor would provide more in the general fund budget, although it officially focuses on K-12 and public safety. There is a range of forecasts about just how much it would add to budget revenue with the Legislative Analyst having a lower estimate than the governor's Dept. 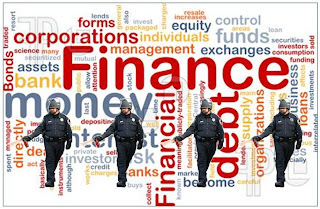 of Finance. The governor's budget has a trigger that would cut UC $200 million if the initiative doesn't pass. The trigger, however, is not in the initiative and would have to be enacted by the legislature as part of the 2012-13 budget. President Yudof said he was continuing discussions with Sacramento about the long-term budget accord for UC but that it hasn't happened yet. He said he would like to see in such an accord a tuition increase "buyout" for 2012-13, which seems a very short-term goal to yours truly. Accords with the state last one fiscal year, if that. In the actual public comment period students spoke about tuition, about the UC-Riverside student proposal for post-graduation income sharing in lieu of tuition, about budget propositions, etc. There were angry remarks about the pepper spray incident at UC-Davis and about the UC-Berkeley police confrontation in which some who took part have been banned from campus except to go to class. There was also a worker grievance aired from UC-San Francisco, but it was unclear what it was about. In an early post this morning, I provided written comments from a neighbor-hotel owner group opposed to the current plan for the UCLA hotel/conference center. The speakers basically followed the written document. A hotel consultant hired to examine the plan generally raised questions about the cost side of the official UCLA business plan which she characterized as underestimated. Adjusting for debt service and the cost of the parking garage (which UCLA apparently doesn't intend to pay), the project would be unprofitable until year 20. A lawyer said bringing the project to the Regents was premature because necessary environmental review under CEQA (a key environmental standard in California) has not been completed. He also raise questions about the proposed occupancy policy which he suggested would not be eligible for tax-exempt status as the university proposes. Basically, if there are legal challenges, these are likely to be key issues. Finally, there was testimony alerting the Regents that members of the Hannah Carter family would be testifying in the public comment period tomorrow in opposition to the UCLA sale of the Japanese Garden. Later this morning at the UC Regents meeting, there will be a public comments period. There may be oral testimony by persons opposed to the latest version of the UCLA hotel/conference center project. Below you can find a link to the written testimony of "Save Westwood Village," a group of neighbors and local business & hotel owners. Although the group may have interests regarding this project different from those of the faculty, it will be necessary for any Academic Senate review of this project to respond to the objections raised. The faculty interest essentially is that the project not end up running at a loss on a stand-alone basis (not blended with other campus facilities) that would have to be picked up by the campus one way or another. It would have been preferable if the powers-that-be had made the information to be presented to the Regents available on a timely basis to outside scrutiny. As prior blog posts have noted, the basic information was certainly ready in early February 2012. Note: The statement above refers to a PKF report. PKF is a consulting company that produced a dubious report on the original proposal. Below you will find a link to the PKF report on the revised version. Note that the profit figures reported do not include the cost of debt service. Also, the transient occupancy projected - apart from the issue of forecast accuracy or inaccuracy - raises some potential legal/tax issues that need addressing. The LA Times article describes what some municipalities have done in the past to deal with unfunded pension liabilities or just to make a speculative profit. Essentially, they have issued bonds and used the proceeds to make pension investments. If the interest cost of the bond is less than what they earn in financial markets, the profit enhances the pension fund portfolio. Less clear in the article is that if the pension fund has an assumption of earnings higher than the interest rate on the bonds, at least temporarily the accounting measured of the unfunded liability goes down. They key point is that none of this speculative and questionable activity is behind what UC might someday do (and, again, has not done). Those who follow this blog know that the UC pension is unique relative to most public pension funds in that roughly $2 of every $3 of employer contributions come from non-state sources (such as hospital revenues and research grants). However, unless the state (currently the Regents) make its contribution, the other sources won't either. So putting money into the fund on behalf of the state triggers a de facto match ($1 of state contribution produces $2 extra dollars of non-state contribution). This match dwarfs any interest rate differential or accounting artifact. Bottom line: If UC ever issues pension bonds, it won't be for the reasons listed in the LA Times article and will actually be to the fund's benefit. It is possible that the sale of the Japanese Garden by UCLA may come up at the forthcoming Regents meeting, at least in the public comment period. The letter below was emailed to me by an individual who has been involved in the debate over the sale. I should point out, in reprinting the email, that the UCLA Faculty Association has no position on the proposed sale but, as in other matters pertaining to UCLA, prefers that information on controversial matters be aired openly when possible. 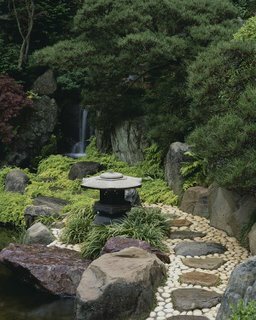 The Japanese Garden matter affects not only the garden itself but also could have possible effects on future large donations to the university. In the case of the email below, the text reflects the fact that Hannah Carter’s children have been opposed to the sale, at least as it is being conducted, but that Bill Carter thought that in view of the budget squeeze on UCLA, former Regent and donor Ed Carter would understand the need for revenue. Awhile back I forwarded you my letter to Chancellor Block and also Vice-chancellor Scott Waugh's response. You may recall that I also was in correspondence with a friend, Bill Carter, Regent Carter's son, re the garden. Bill cc'd Block on his response to me and, subsequently, he was contacted by another Vice-chancellor, Rhea Turletaub, who, in a most "courtly" manner, asked his permission to use his letter in their dealings, which he granted. I saw Bill recently and he says his letter was not intended to support either side but, instead, to point out that his dad was a practical man who worked for win-win solutions. He told me that he has no objections if I were to also forward his letter to you which I am now doing -- see pasted below. 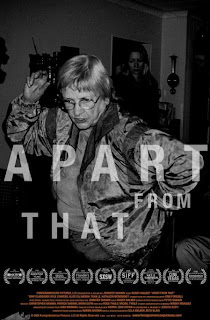 I send this on for whatever help it may be, if only to in aid your readiness for argument, knowing what "the other side" has in its dossier. I continue to believe that the rental of the house and/or the establishment of a scholarly/research oriented trust/institute run from and for the house, would pay for the garden. And that a for-fee shuttle run from UCLA would solve the garden visitor access problem. Most interesting to read the Chancellor's reply. And to note your strong emotional engagement in this issue. Partly because I live far away physically and mentally, I see it all through a different lens. Dad had long term objectives involving permanent values; these were expressed in (a) his paintings collection, founding work on LACMA, and gift of the collection to LACMA; and (b) his 36 years as a UC Regent, including a term as Chair and long term Chairman of the Finance Committee. 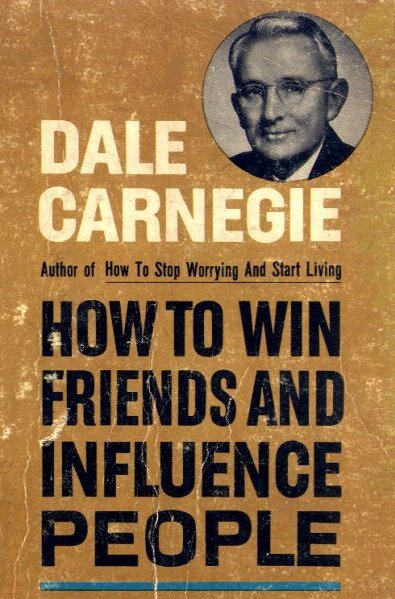 His other interests were marked by market-wise pragmatism. Soon after he first moved into Siena Way, he donated the Japanese garden to UCLA because they wanted it, because he did not want the responsibility of maintaining it, and because he could get the charitable tax deduction. He and Hannah liked having a key and being able to show it to guests now and then. A typical decision of his, it seemed win-win at that time, which was nearly half a century ago. He always believed in retaining working capital for ventures he understood and cared about, and real estate was not one of these. So, similarly, he donated the house to UCLA upon his death because he had believed his widow would then move back to the SF Bay Area. That decision was made decades ago when the Chancellor did not have a suitable residence on or near the campus. Hannah remained in the house for years and paid rent on it to UCLA before returning to the Bay Area in her dotage. Contrary to her son's statement as quoted in the LA Times, yes she deeply enjoyed growing and trimming the flowers, but these were in the house property adjacent to the Japanese garden, not on the University property on the other side of that fence. 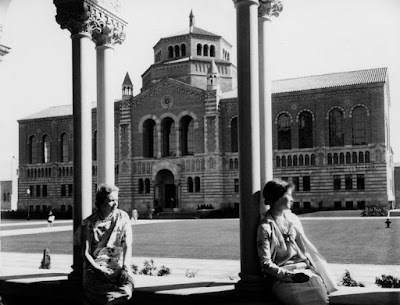 In the current budgetary crisis of California in general and UC in particular, the arguments for recouping $15 million into UCLA's coffers versus up-keeping the places would have been something Dad understood as head of the finance committee. On the other hand, there is huge intangible value in the garden in particular, especially in the light of how nearby residents and members of the campus community, such as yourself, feel about the issue. Here near Stanford, we are constantly privy to town-gown tensions of these sorts. One of Dad's greatest gifts was his ability to work out win-win solutions fulfilling all parties' long term interests. Perhaps he would have found a third way in this case. He was in charge of UC finances during the great period of its expansion from 2 or 3 campuses to many times that. Imagine the types of people with all their competing interests from faculty to Vietnam war protestors to Livermore and Los Alamos scientists to real estate and shopping center developers to coastal issues with Santa Cruz and Santa Barbara and UCSD/Scripps campuses to the semi-autonomous medical centers. In our current vitriolic and narrow-agenda era we could use more like him. But those were days when a few persons of vision had more clout State-wide. Update: Yours truly has received an email from the "Coalition to Save the Hannah Carter Gardens" confirming that there will be family members and others speaking in the public comment session at the Regents on Thursday, Mar. 29. Regents meetings are live streamed (audio only). However, I will be on an airplane at that time so if you are interested in hearing that session, you can either listen to the stream or await receipt of the audio files by the UCLA Faculty Assn. The audio will then be posted on this blog. The live stream will be at http://california.granicus.com/ViewPublisher.php?view_id=2 and the public comment session on Mar. 29 is at 8:30 AM. If anyone wants to make a recording and send it to me, I can post it before we receive the audio file from the Regents: daniel.j.b.mitchell@anderson.ucla.edu.. Anyone can (try to) write a law in California using the ballot initiative process. It only costs $200 to start the process rolling. For that modest sum, you get a ballot title and summary from the state attorney general and a fiscal analysis from the Legislative Analyst's Office. Of course, you then have to go out and get the signatures. The latest direct democracy to rising tuition at UC, CSU, and the community colleges is a ballot initiative submitted March 26 that would freeze tuition at the 2010 level, adjusted for inflation. However, the initiative fails to mention what index would be used to measure inflation and its author seems to think that California's fiscal years begin on January 1. (It speaks about the "fiscal year January 2011.") The legislature is required to seek "improvements" in the three systems. A commission is set up to eliminate "redundancies." (They all teach chemistry?) There are various random tax increases included. As initiative writers soon find out, it actually costs $1-$2 million to get the needed signatures to place an initiative on the ballot. Despite the brave notion of grass root circulation of petitions, in fact you need commercial signature-gathering firms to do it. And, of course, then you must pay for a TV ad campaign. 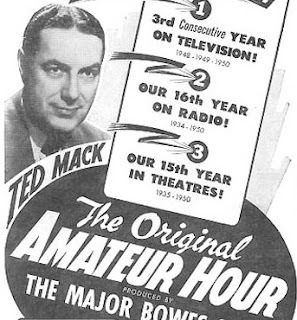 So the original amateur hour pretty much stops a the $200 stage. In February 1964, a temporary stadium on campus was built for speeches by U.S. President Lyndon Johnson and Mexican President Adolfo Lopez Mateo. Glenn T. Seaborg attended UCLA 1929-34 and received a BA in Chemistry. He went on to Berkeley and received a PhD. Later he received the Nobel Prize in chemistry and chaired the Atomic Energy Commission during the Kennedy, Johnson, and Nixon administrations. The Fox Theater in Westwood near UCLA in the 1940s. 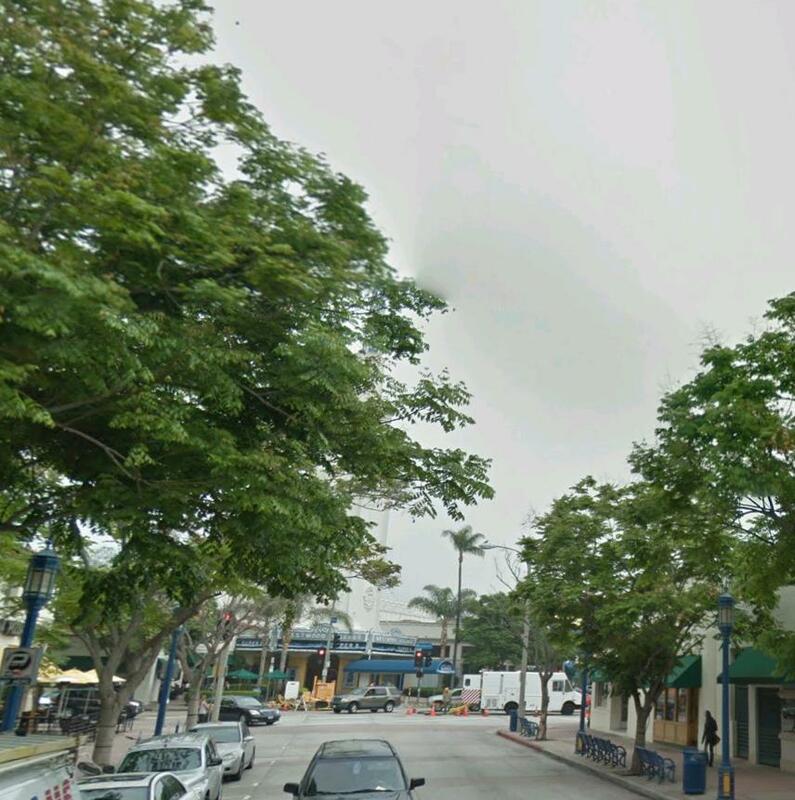 Same view at present with theater partially hidden by trees on Broxton Avenue. For UC to remain true to President Daniel Coit Gilman’s promise in the 1800s to be the “University of this State” – to help fuel its economy and provide opportunities for its continually changing population and its needs – the University must strengthen its pillars of support. First, the University needs a consistent and reliable funding agreement with the State. The Governor’s proposal for a multi-year funding plan offers real promise, both in providing the University a predictable source of funding for its pension costs and also in giving it flexibility in restructuring its debt and, thus, in meeting its other obligations. Second, it needs a student tuition plan that provides the campuses with money they need both to begin the rebuilding process so necessary to prevent a deterioration in quality, as well as to begin planning for the future. As crucially, the plan must provide predictability for families who suffer more from the volatility in fees than they do from modest and predictable increases for which they can plan. Senate Bylaw 90.B. authorizes the Assembly to initiate “Memorials to the Regents on matters of Universitywide concern to be submitted to The Regents through the President...” The Memorial would request the Regents to endorse specific ballot measures or legislation that would increase revenue to the state and/or prioritize state allocation of funds to the University. A vote in favor is a vote to send the “Memorial to the Regents” to the President and ask him to transmit the Memorial to the Regents. A vote against is a vote to not send the “Memorial to the Regents” to the President. At a meeting on February 1, 2012, the Academic Council approved (14 in favor, 1 against) a motion to ask the Assembly to initiate a Memorial to the Regents that would request the Regents to endorse ballot measures or legislation that would increase revenue to the state and/or prioritize state investment in the University. The proposal was placed on the agenda for the Assembly’s February 15 meeting as Item VII.B.2 and included in the Call to Meeting, together with the proposed text and arguments for and against, as required by Bylaw 90.B. Substitute language, which was circulated to the members of the Assembly prior to the meeting and posted on the Senate website as an accompaniment to the Call to Meeting, was proposed and adopted as an amendment. After debate and further amendments, the Assembly voted (47 in favor, 12 against) to distribute a ballot to all Senate faculty members in accordance with the procedures stipulated in Senate Bylaws 90 and 95. Those who follow this blog will know that a brouhaha developed when certain highly compensated administrators in the UC system pushed for a lifting of a cap on the level of pay considered for pension calculations under IRS rules. In 1999, the Regents applied for an exemption that would have lifted the cap. It was approved by IRS in 2007. But the Regents never implemented the exemption, have indicated they will not do so, and are now threatened with litigation. Following the incidents at the Berkeley and Davis campuses in November, the President directed Vice President and General Counsel Robinson and Dean Christopher Edley of the Berkeley Law School to conduct a systemwide review of campus policies and practices in responding to protests. This review differs from the other reviews currently under way in that it is not focused on the November incidents but rather is forward-looking, with the objective of developing systemwide recommendations regarding best practices. General Counsel Robinson and Dean Edley and their team have reviewed relevant policies at each of the ten campuses, interviewed the leadership of key internal constituencies, including administrators, faculty, students and police, and sought additional input through a series of town hall meetings. In addition, the Robinson/Edley team has interviewed a number of external experts regarding campus policing and protests and reviewed relevant literature on this subject. Areas of focus include recognizing First Amendment rights and the tradition of civil disobedience on campus; coordination and communication between administrators, students, and police; de-escalation techniques; use of force; hiring and training; mutual aid from outside agencies; documentation of events; and post-event review. With the subway supposed to arrive in Westwood (someday), apparently some planners and architects have been imagining the area with not many cars. Can We Have a Room With an (Alternative) View at the Hotel Dispute? …"It’s disingenuous in the sense that this is a project that's supposed to take care of itself," said Daniel J.B. Mitchell, professor emeritus at the UCLA Anderson School of Management and School of Public Affairs, who has written about conference center developments on the UCLA Faculty Association blog. But unlike private hotels, the Luskin Center wouldn't be open to the public at large for hotel stays. As a nonprofit entity with tax-exempt financing, the Luskin Center would be limited to guests with a UCLA affiliation, including university conferences, parent events, visits by prospective students and more. "There is a risk that maybe the occupancy won't be what you think, or it's going to turn out to be more costly to operate this than you expect, and then this thing becomes a drain, and in some way or another, something has to be taxed," Mitchell said. The question is whether at the upcoming Regents meeting the proposed hotel discussion will have room for an alternative view. Or will the argument have to be carried out elsewhere? Update: Michael Meranze spotted the California Watch article in the Huffington Post. It's hard to imagine the Regents are not aware of this matter. An earlier post on this blog noted a related recent article on the hotel in the LA Business Journal. Do we have a problem - systemwide and on campus - about responding to Public Records Act requests? The University of California is violating state law by refusing to release portions of an investigative report on a police officer's pepper-spraying of Occupy protesters, public-records experts said Wednesday. An Alameda County judge ruled this week that the university could release all but a few sections of the report to the public. But UC lawyers refused to release the document to this newspaper, which had requested it under the California Public Records Act. The state law requires public agencies such as the UC to provide most documents upon request. The university provided two disparate explanations for the denial, each of which open-government advocates criticized. Eight activists who participated in Occupy protests at UC Berkeley last fall have been banned from campus. …The Democratic governor dismissed the argument that the potential pool of college presidents is so small that salaries must be raised to remain competitive. "I think there are a lot more people that can be college presidents, maybe even some of you," Brown told reporters. Asked if he could be one, Brown said, "I have no doubt." UCLA has now given the Faculty Association a version of the hotel/conference center business plan dated February 9, 2012. The problem is that the Faculty Association had a public documents request pending since last November. There is a long interval between February 9 and March 20 when the February 9 document was made available. (It was made available to a neighborhood group on March 19.) You can read the document below. If you go to page 16 of the document (page 17 of the pdf), you will see that the notion of blending the hotel with the guest house and the Lake Arrowhead center was already part of the plan. 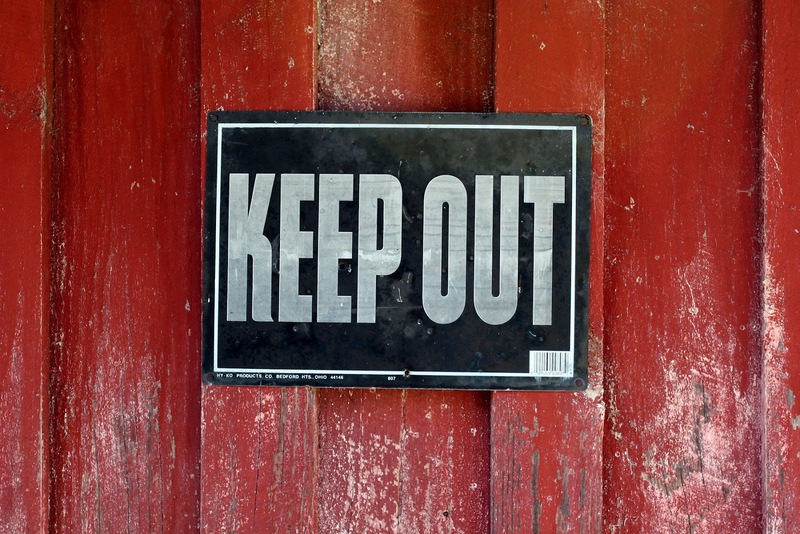 Note that it is not just the Faculty Association that was denied access for a lengthy period. So, too, was the Academic Senate. Right now, Murphy Hall evidently wants to bull ahead. 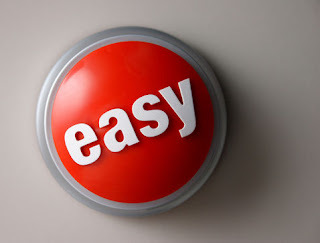 But there is an alternative route UCLA could consider rather than just bulling ahead. 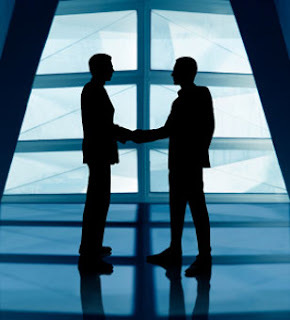 There is a Grand Bargain to be had that could satisfy faculty needs and the needs of other interested parties, including the donor. The faculty has had two interests regarding this project. First, there was a substantial group of faculty that objected to the demolition of the existing Faculty Center in the original – and now defunct - plan. It was clear that a) the Faculty Club would not survive the interim period of construction under the original plan and b) the proposed Club in the new facility would have been a mere shadow of the existing Club, even if it did somehow survive. The second faculty interest was not having a facility built with shaky finances that would end up costing the campus – one way or another – money it doesn’t need to waste. The faculty’s first interest was partly dealt with by moving the location of the proposed hotel/conference center to parking structure 6 and dropping the demolition of the Faculty Center. But that left the Faculty Center with preexisting financial problems which also threaten its continuation. Indeed, the more competing facilities for conferences and meals on campus are built, the greater the financial threat to the Faculty Center. The second faculty interest, as noted above, is that the project be financially sound on a stand-alone basis. If it isn’t, it will end up costing the campus money. 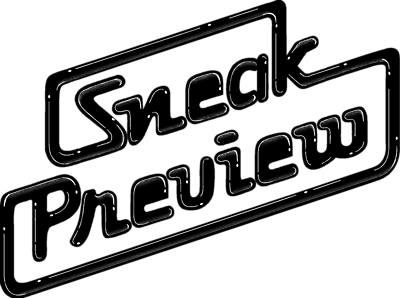 The new plan – as earlier posts noted – deals with the soundness issue in two ways. A) It reduces the scale of the hotel. What that shows is that if you make the hotel smaller, financial viability goes up and financial risk goes down. B) It blends the hotel with two existing facilities. The implication of “A” for further scaling down is obvious. But what about “B”? In fact, all campus projects are de facto blended with the entire campus budget. UCLA will never allow a default on any debt it incurs. So everything in reality is blended with everything. 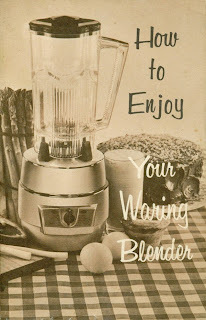 The particular blending chosen for the plan is creative to be sure. (Have you ever tried driving to Lake Arrowhead recently in contemporary traffic?) But it means nothing in practice. The blending was always there and could have been put into the original plan proposal or any plan for any capital project on campus. Blending does not make the hotel more viable on a stand-alone basis. It is an accounting fiction. There are other interest groups involved in this project. Private Westside hotel owners are upset about the competition from the hotel and could – if they choose – litigate and delay the project. Neighbor groups were partly assuaged by the move to a more central campus location but, apparently, not totally assuaged. 1) Scale back the plan further, particularly the number of hotel rooms. That will boost the occupancy rate, reduce competition with outside hotels, and make the plan more financially sound and less risky. A smaller new project also reduces remaining neighborhood objections. 2) Blend the Faculty Center into the plan. It is a lot closer to the proposed hotel/conference center than Lake Arrowhead! It’s only a short walk from the Faculty Center to either the proposed hotel/conference center or the Guest House. UCLA’s administration has been seeking a formal accord with the Faculty Center’s board, at least since the 1990s. (If you poke around in the library of documents related to the hotel/conference center project posted earlier on this blog, you will find unsigned proposed deals.) Some of the money saved by downscaling the hotel project could be used to upgrade the conference facilities at the Faculty Center, including modernization of the audio-visual equipment. Needed repairs to the Center could also be made. Of course, the Center already has meal service. The Faculty Center could be renamed in honor of the Luskins. This suggestion for a Grand Bargain is just an outline. The financials would have to be re-worked. There would need to be a second trip to the Regents with a revised, compromise plan. The fuzzy relationship between UCLA and the Faculty Center would need to be formalized. There would have to be an openness to a change in direction on this project in Murphy Hall. Since faculty interests are at stake, the Academic Senate could take the lead in getting the interest groups together at least to look at the possibilities. Would a Grand Bargain be a painful adjustment in strategy for some? Maybe. Would it be better than the current approach? Definitely. It’s a plan, don’t you think? 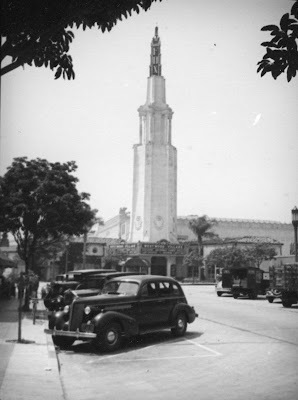 Following yesterday's posting of the proposed UCLA hotel/ conference center, it may be useful to have a source of past documents that relate to the proposal. If you have tracked this issue, you know that the original plan was to demolish the Faculty Center and replace it with a 280+ room hotel/conference center. After protests, the location was shifted to Parking Structure 6. Below is a set of documents that relate to the entire history of this project, or at least those documents that have come to light. The business plan for the hotel/conference center is now on the Regents' website. In essence, the plan is made to work by blending the hotel/ conference center with the guest house and the Lake Arrowhead conference center. In effect, the operating surplus of these other operations is used to cover the initial shortfall relative to debt service in the proposed hotel/conference center. The new hotel runs at 60% capacity initially and rises to 70% by year 3 of its operations although it cannot take commercial business due to its tax exempt financing. Blending the hotel with the other operations - and the 70% assumption - gives it a cushion above debt service. The cushion gets much thinner if the other operations - which would go on anyway and be generating surpluses for the campus - were not included and if the 70% figure turns out to be too high. The rational for combining the two operations for presentation to the Regents is unclear. 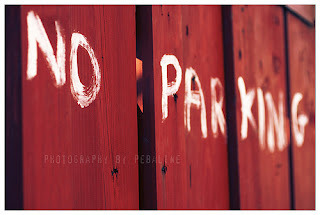 Why not throw in the parking service, too? The Regents are assured in the plan that not a penny of their money will be involved. The campus takes the risk including the risk that the hotel will eat into the surpluses of other enterprises, not just the two officially combined with the hotel. 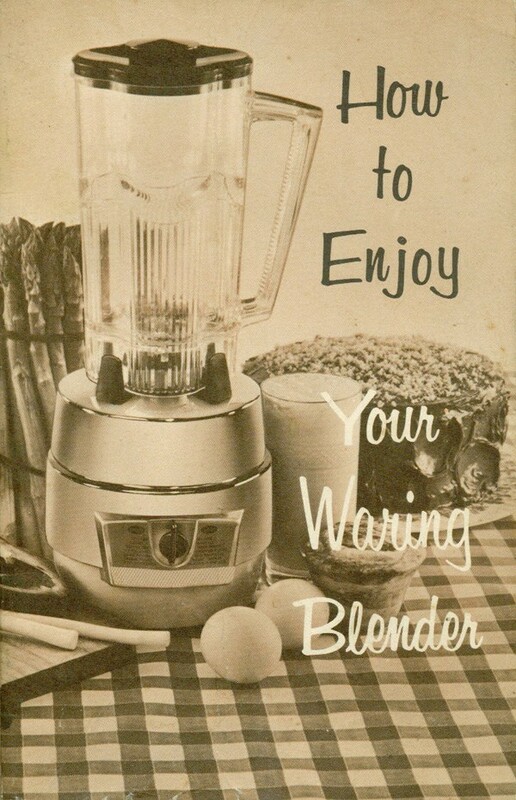 Be wary of this blender. You may have received emails purporting to be from UCLA such as the one below. Don't respond. Don't click. Just delete the message. Someone is trying to steal your ID information (phishing). We have observed suspicious activities from your Internet account. Kindly click on ucla.edu or copy and paste this link http://(address removed) on your browser to verify your account now in orders to avoid disconnection of service. 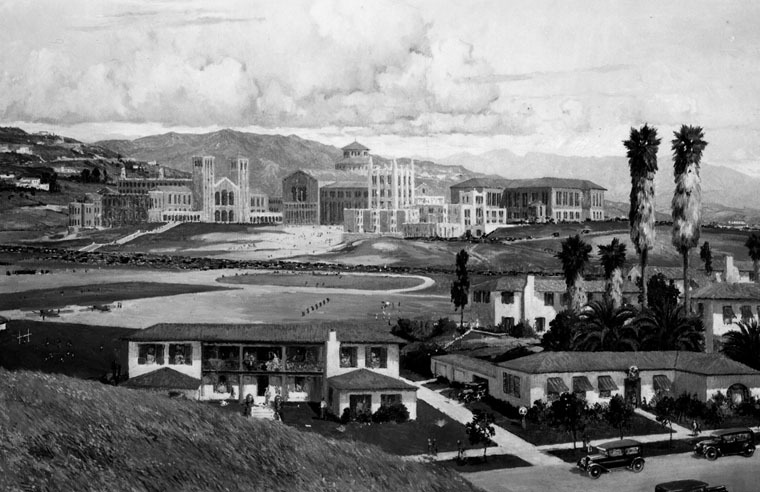 Painting of UCLA, circa 1930, by local artist Chris Siemer. 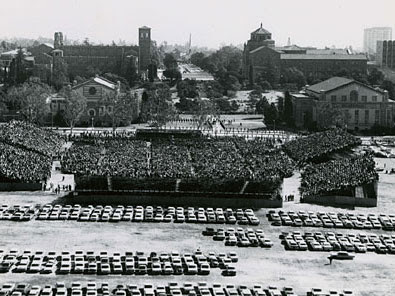 This photo of a UCLA scene looks as if it could have been taken recently. Actually, it was taken in 1929 when the Westwood campus had just opened. 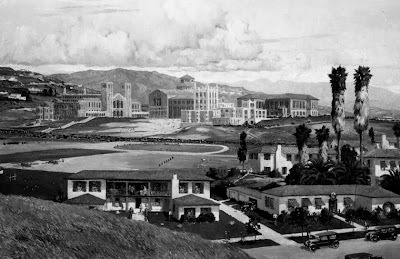 Most of what is now UCLA had not been built but the view from Royce across to Powell back then is about the same as it is today. But although it has been apparently sent to the Regents for approval, requests for it remain unanswered and unfulfilled. Lots of time has passed, and you have not responded to the request of the FA for a public document, the business plan for the proposed UCLA Conference and Guest Center. I have offered several times since your communication to pick up the document in your office, but you have not responded. I would like to pick up the document on Monday, March 26 at 1:00 pm. Please confirm that the material will be ready at this time. Below is a link to the FA blogsite, where we mention our request and the fact that the document has now been made public. If you go to the search site and type in “Business Plan for Hotel/Conference Center,” you’ll see that many of our readers, both campus and statewide, are interested in seeing the business plan. Will There Be a Pension Lawsuit Over the Cap for the Highly Paid? The upcoming Regents agenda contains a mix of open sessions and closed sessions. One closed session involves a sensitive pension issue to be discussed in private by the Committee on Compensation. Since the session is closed, however, there may be no further information available. 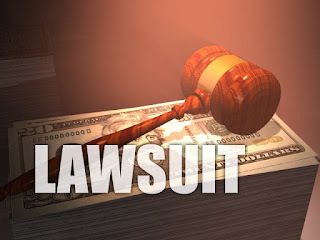 A lawsuit on this matter, if one is filed, would come at a time when UC is trying to make the case that it should not be subject to the statewide plan proposed by the governor. The timing could not be worse. Time Challenged in Murphy Hall? 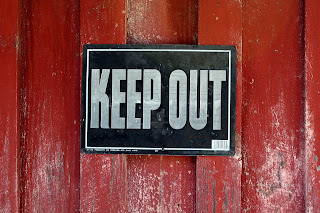 Golden Rule Not So Golden, Judge?